LCT reserves are centred on Helpston, the home of the Peasant Poet John Clare. Surrounded as it is by fields, woods and wetlands, the sights and sounds of nature are very much part of Helpston life. Tawny owls call from Royce Wood in the autumn, cuckoos in the spring. Swifts , house martins , and swallows, fly over the village in the summer. Foxes and muntjac deer wander the streets after dark. Snakes and newts are commonly reported from garden ponds. 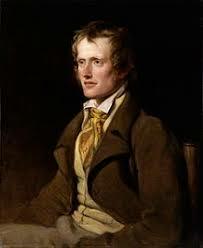 The limestone country to the west of Peterborough, extending into Northamptonshire, was home to the poet John Clare (1793 – 1864). His lyrical descriptions, written during the turmoil of the Enclosure Acts, expressed his heartbreak at what he saw happening to his beloved open landscape. Now, the surviving fragments of Clare’s countryside are being protected, linked, managed and made accessible to local people through the BCN Wildlife Trust Living Landscape scheme.